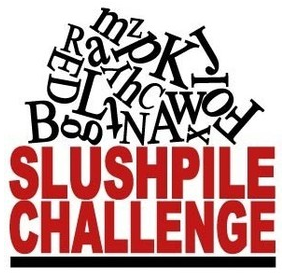 We are pleased to announce the July 2013 Slush Pile Challenge. This time the challenge has been set for Picture Book Writers & Illustrators from Sarah Frost at Hodder Children's Books. THE CHALLENGE: A picture book text or dummy in PDF form - 500 words or under that celebrates the relationship between mother and child and would make the perfect Mother's Day gift. Or a picture book text / dummy in PDF form of 500 words or under that celebrates the relationship between father and child and would make the perfect Father's Day gift. Sarah Frost will pick a winner and arrange to have a meeting with the winner by phone or in person for 30 minutes. Send in your entries by 31st July 2013. If your entry is selected for a given Slush Pile Challenge, you will not be able to enter for any other challenges. Send in your picture book text (as Word Document) or picture dummy (as a PDF) to competitions@britishscbwi.org by 31st July 2013. The word document / dummy PDF should only contain the picture book with its title. The dummy should be all spreads laid out in A3 or A4 size and saved as a PDF file. In the email - please write your full name as it appears in SCBWI membership records, title of the picture book and your email address. Please note that the picture book text should not exceed 500 words. We will choose 15 entries randomly and send to the editor for review. The editor will pick a winner and also tell us why. The winner will be put in touch with the editor, for a 30-minute phone / personal meeting. Thanks for this challange, a fascinating aspect of the parent/child relationship to explore. I'll get my pen sharpened. A thought for future reference though, as this is a picture book text, couldn't a way be found to include our illustrators too? Illustrator competitions are managed and run separately by our illustration team. Slush Pile Challenge has always been for writers. This is a great challenge for picture book people! The Slush Pile Challenge has SO FAR only included challenges for writers, but please email your ideas to our Illustrator Coordinator, Anne-Marie Perks, at illustrators@britishscbwi.org and to Chitra and we will try to make them happen. Please note the changes to the challenge. Sarah Frost has agreed to review PB text from writers and dummies from author-illustrators. Hurrah! Just wondering if entrants will find out if they're one of the fifteen picked out of the hat, or only if they're the overall winner? Mine was chosen for the short-list, and I was informed by e-mail, so the answer is yes. "If your entry is selected for a given Slush Pile Challenge, you will not be able to enter for any other challenges." Selected as a candidate or selected as the winner?